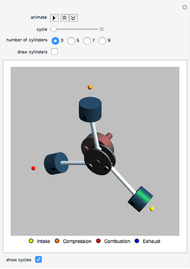 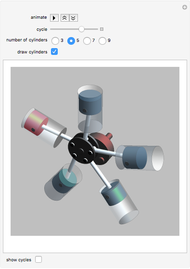 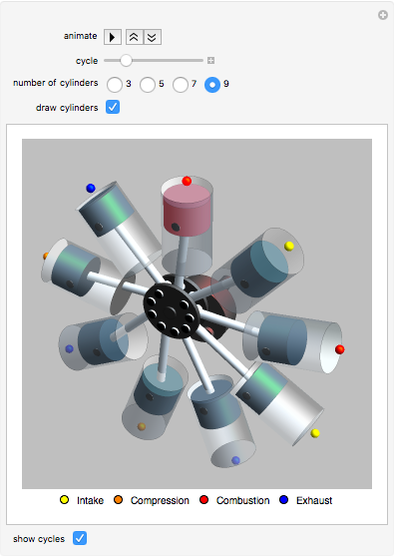 This Demonstration shows a working model of a 4-stroke radial engine. Unlike a straight cylinder engine, the cylinders are connected to the crankshaft using a single hub with a master-and-articulating rods assembly. This engine configuration was very popular in WWII aircraft. 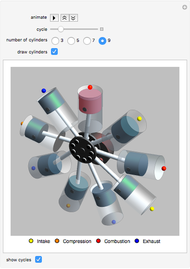 For smooth firing order, most 4-stroke radial engines have an odd number of cylinders.